Arriba Vista Ranch, set on 220 acres in the rolling foothills of beautiful Sunol Valley, is located off Highway 680 between Pleasanton and Fremont. 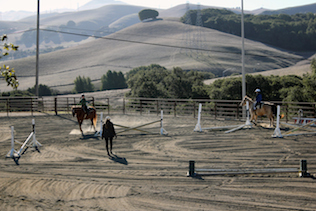 Arriba Vista Ranch is home to boarding and training facilities catering to the dedicated horseman. 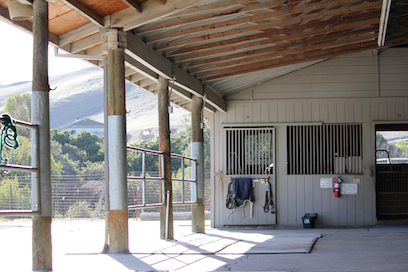 Arriba Vista Ranch has a long and rich history in Alameda County. Purchased in 1979 by the Kimbros, the land was completely undeveloped. Originally conceived as a breeding facility, they began construction on the barn in 1984. Doc’s Fridee Bar and Whim took up residence and a prolific breeding program began. For several years, up to 40 foals per year were bred, born and raised on the property. Eventually, the Kimbros realized their gem tucked away in the hills separating Pleasanton and Fremont was far too beautiful and convenient to not share it with other horse enthusiasts like themselves. 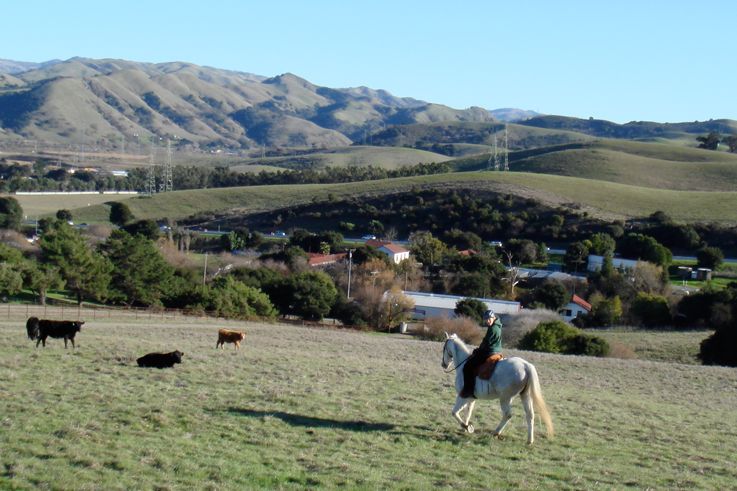 So, when Fridee Bar was sold in 1989, they opened their doors to residents of the Bay Area to board their horses and enjoy the beauty and serenity to be found so close to San Francisco and Silicon Valley. Today, Arriba Vista has grown from a single barn with a small indoor arena to a large facility offering box stalls, mare motel style paddocks, five arenas, six turnouts, and 220 acres to meander through. Ride up to the peak and watch the sun set into the bay or slip through the small herd of cattle to discover a new calf resting from his ordeal of entering the world. If you are very quiet, you may wander across the fleeting wildlife that still find refuge in these hills. No matter your riding passion, Arriba Vista offers something for everyone. Many of our community have been with us for years. Yes, even a remnant of our beginnings can still be found in Doc’s Fridee Bar’s offspring, Bart. Bart earned his nickname, Bart, after Bay Area Rapid Transit for his tendency to quickly dart around the pastures wreaking a bit of havoc in his younger days. Now in his twenties, Bart has been loved and cared for by his friend Brenda and our dedicated staff his entire life. 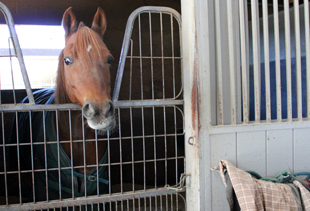 Bart can be found contentedly dozing in the sun or taking a trail ride through the property. Please feel free to visit us and enjoy a bit of respite from the hustle and bustle of life. We are here to allow you the opportunity to relax and enjoy your horse as well as tend his/her needs when you are too swamped to make it out.